A founder implies that someone has brought into existence a new faith or formulated a set of religious beliefs, principles and practices which were not existing before. That cannot happen with a faith such as Hinduism, which is considered eternal. According to the scriptures, Hinduism is the religion of not just humans. Even gods and demons practice it. Isvara, the Lord of the universe, is its source. He also practices it. Hence, Hinduism is God's Dharma, brought down to the earth, just as the sacred River Ganga, for the welfare of the humans. Thus, Hinduism is not founded by a person or a prophet. Its source is God (Brahman) himself. Hence, it is considered an eternal religion (Sanatana dharma). Its first teachers were Brahma, Vishnu and Shiva. Brahma, the creator God revealed the secret knowledge of the Vedas to gods, humans and demons in the beginning of creation. He also imparted to them the secret knowledge of the Self, but due to their own limitations, they understood it in their own ways. Vishnu is the preserver. He preserves the knowledge of Hinduism through countless manifestations, associated gods, aspects, saints and seers to ensure the order and regularity of the worlds. Through them, he also restores the lost knowledge of various Yogas or introduces new reforms. Further, whenever the Hindu Dharma declines beyond a point, he incarnates upon earth to restore it and revive its forgotten or lost teachings. Vishnu exemplifies the duties which humans are expected to perform upon earth in their individual capacity as householders within their spheres. 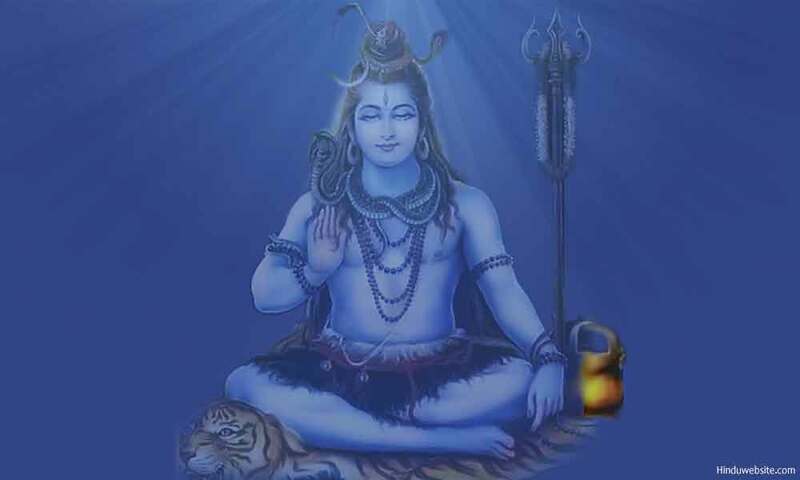 Shiva too plays an important role in upholding Hindu Dharma. As the destroyer, he removes the impurities and confusion that creeps into our sacred knowledge. He is also considered the universal teacher and the source of various art and dance forms (Lalitakalas), Yogas, vocations, sciences, farming, agriculture, alchemy, magic, healing, medicine, Tantra and so on. Thus, like the mystic Asvattha Tree which is mentioned in the Vedas, the roots of Hinduism are in heaven, and its branches are spread out on earth. Its core is divine knowledge, which governs the conduct of not only humans but also of the beings in other worlds with God acting as its creator, preserver, concealer, revealer and remover of obstacles. Its core philosophy (the sruti) is eternal, while it changing parts (smriti) keep changing according to the time and circumstances, and the progress of the world. Containing in itself the diversity of God's creation, it remains open to all possibilities, modifications and future discoveries. Many other divinities such as Ganesha, Prajapati, Indra, Shakti, Narada, Saraswathi and Lakshmi are also credited with the authorship of many scriptures. Apart from this, countless scholars, seers, sages, philosophers, gurus, ascetic movements and teacher traditions enriched Hinduism through their teachings, writings, commentaries, discourses and expositions. Thus, Hinduism is derived from many sources. Many of its beliefs and practices found their way into other religions, that either originated in India or interacted with it. Since Hinduism has its roots in the eternal knowledge and its aims and purpose are closely aligned to those of God as the Creator of all, it is considered an eternal religion (Sanatana dharma). Hinduism may disappear from the face of the earth due to the impermanent nature of the world, but the sacred knowledge which forms its foundation will remain forever and keep manifesting in each cycle of creation under different names. It is also said that Hinduism has no founder and no missionary goals because people have to come to it either by providence (birth) or personal decision due to their spiritual readiness (past karma). The name Hinduism, which is derived from the root word, “Sindhu” came into usage due to historical reasons. Hinduism as a conceptual entity did not exist until the British times. The word itself does not appear in literature until the 17th Century A.D. In medieval times, the Indian subcontinent was known as Hindustan or the land of Hindus. They were not all practising same faith, but different ones, which included Buddhism, Jainism, Shaivism, Vaishnavism, Brahmanism and several ascetic traditions, sects and sub sects. The native traditions and the people who practiced them went by different names, but not as Hindus. During the British times, all the native faiths were grouped under the generic name, “Hinduism” to distinguish it from Islam and Christianity and to dispense with justice or settle local disputes, property and tax matters. Subsequently, after the independence, Buddhism, Jainism and Sikhism were separated from it by enacting laws. Thus, the word Hinduism was born out of historical necessity and entered the constitutional laws of India through legislation. Today, Hinduism includes all the native faiths that originated in India, including the ones that became extinct, but excluding Buddhism, Jainism and Sikhism. Many secular people and atheists also go by the name Hindu, since birth in a Hindu family qualifies anyone as a Hindu, until he or she willingly converts to another religion or officially disavows the religion. Strictly speaking, Hinduism is not a religion, but a basket of religions because its has four sects namely Brahmanism, Vaishnavism, Shaivism and Shaktism, which can be considered religions in themselves. In recent times, it provided inspiration to many New Age faiths and hybrid traditions. ISKON is also a modern offshoot of Hinduism only. Since present day Hinduism incorporated many tribal and rural beliefs and practices it cannot just be treated as a religion in the western sense but a socio cultural phenomenon and a way of life built on the foundation of eternal values.